- Teetering between doubting your business ability and believing in your photography dream? - Trying to follow a million different ideas for your biz and not seeing any real results? - Investing in the next "this will work" training only to find that it didn't deliver or you couldn't stay committed to it? - Attracting the wrong kind of clients who don't value photography? - Feeling guilty because everything takes longer than it should and you told your family '10-more minutes' an hour ago? - Seeing others around you succeeding and yet you can't figure out what they are doing differently? 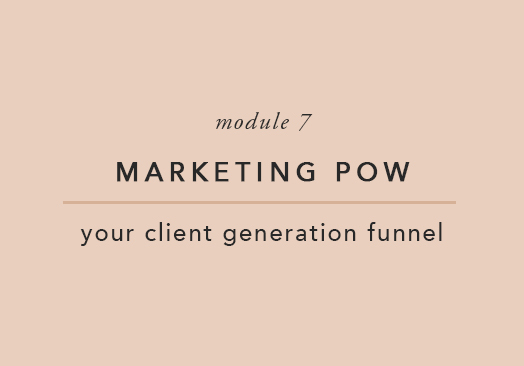 have your dream clients land in your inbox? stop guessing at how to fit the pieces together? Build a Business that works *with* your life? stand out in your market as the photographer? The Thriving Photographer™ is your complete blueprint for building a crazy successful business on your terms - may that be a full-time studio, or as a weekend warrior. Working less, earning more and... well, thriving! And, with over 1000 Thrivers dotting the globe from Israel to Indiana, we know Thrive delivers results! Are you ready? Because we believe you're meant to do more than just survive, you're meant to THRIVE! Heck Yes! I want more of this! So, What is Thrive Exactly? Simply put; The Thriving Photographer™ is the original online training course for photographers. Thrive walks you through a step-by-step system to build and organize a successful portrait business on your terms. 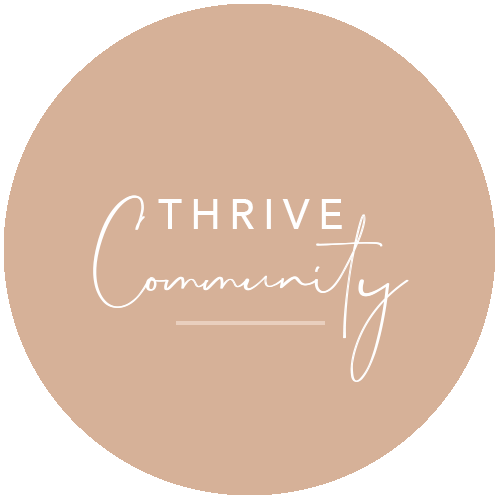 Thrive was created by Leah Remillét and is now brought to the world through Certified Thrive Trainers who first went through the program and found their own incredible results, and have now partnered with Leah to help other photographers (just like you!) so the same! 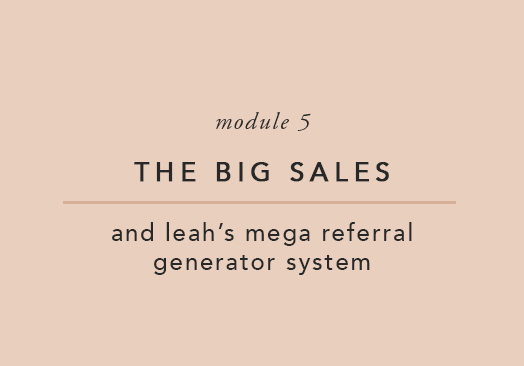 Thrive trainers give you access to Leah's exact program + they' share their own insights and strategies. The Thrive tribe is ready to show you what's possible! Thrive is not about what works for a hot-minute but will be outdated next month. You'll learn timeless concepts that create results. The Thriving Photographer course is yours forever. You'll always have access + you can update your own content for your brand and niche! From profit to systems (and everything in-between), you'll have a step-by-step blueprint for portrait business success. Being a solopreneur is lonely. Not anymore! Encouragement and Support is never far away - think of us as your own board of advisors. It's hard to narrow down exactly what Thrive has meant to me. I could go into about 10 categories on how Thrive has improved my life! Before Thrive, my business was running me, not the other way around. I've been able to organize my business and then love on my clients more. And most importantly, Thrive allowed me to take control of my life again. Six Figures in a Small Town! A lot people think that if you live in a small area with not a lot of people around, you can't be profitable. That you can't make six figures a year - I can now tell you, that is so not true!! Thrive will set you up for success! The marketing has been so huge for me! Thrive has so many ideas and options. Now when I approach businesses to market with, their like, "of course!" If you're on the fence, jump in! You'll be amazed at the success you get! 4X'd my Income with Thrive! Since Thrive, I have been able to charge 4 times what I was charging. I shot five weddings this year and brought in enough income to cover what would have been 15 from 4 years ago. The confidence I have gained, in and of itself is priceless. My hubby and I often talk about how thankful we are for Thrive. It was a game changer. I am so thankful that I jumped into Thrive scared and doubtful. What's Inside The Thriving Photographer? Thrive is packed with everything you need, and it works because it was designed for real photographers who need real results. Once upon a time, I was where you are! This dream meant way too much to give up, but if I didn't find a better way, I was going to have to hang up my camera. I'm thrilled to share that I did find that better way and now, I want to show you how I built an $8K monthly income on 20-hrs a week. I sincerely believe we all deserve to live the life we imagine, and Thrive can help you do just that! √ You've tried a lot of different ideas but never quite got the pieces to work for your goals. √ If you love the idea of have a raving tribe of past clients (#teamyou for the win). √ You're ready to take your sales to the next level & know you're priced profitably. √ Lack of confidence in your business skills has held you back, and you're tired of it! √ You know you do better with step by step instructions & you're ready to see results. and love your business again! It's your turn to Thrive! Are you ready? Choose a category below and find your perfect Certified Thrive Trainer and jump into the magical world of The Thriving Photographer? Remember, the course material is all the same with every Trainer, but this way - you can find the perfect trainer for you & your goals! You started your photography business to do more than survive, you had a dream! It's time to take back control and create your own thriving photography business.